Yep, the Papertrey Ink November release has now come to an end. But a few of us design team members still have a couple more projects up our sleeves. As previously mentioned, Dawn McVey, Danielle Flanders and I received a portion of our release products a little late in the game. 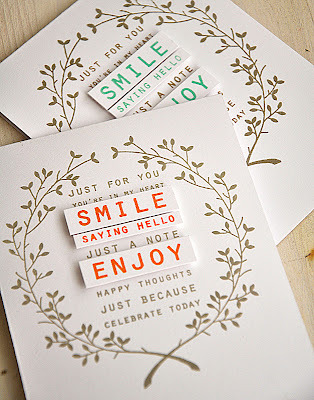 So we were unable to participate in last Tuesday's Stitched Sentiments group challenge. 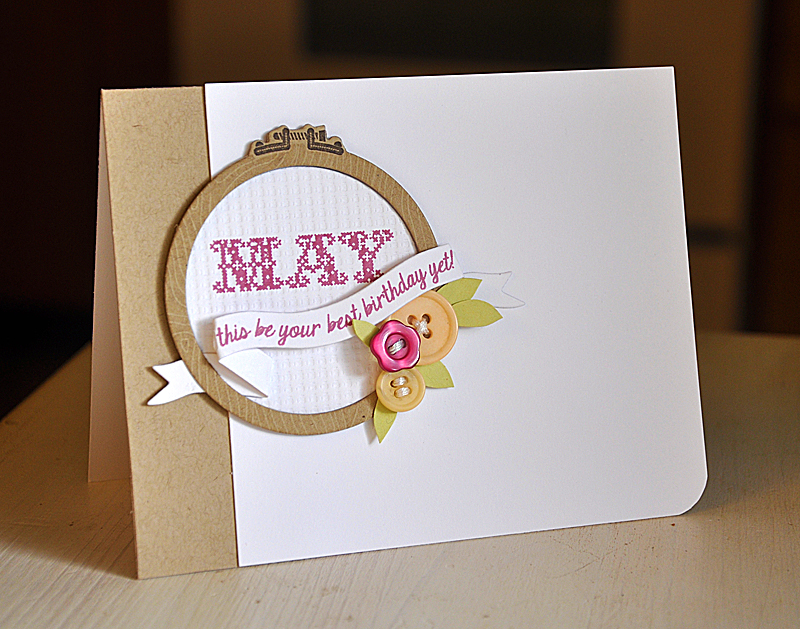 First up, a simple yet lovely design that utilized the hoop image. The hoop was die cut from kraft cardstock and stamped with the coordinating image in Versamark ink. The center circle was stamped with "may" and then impressed using the Adia impression plate. I then weaved the sentiment banner under and over the hoop. Finished the card off with a few buttons and hand trimmed leaves. Next... another simple design, but with more of a modern look (which I think is a bit unexpected). I couldn't be more please with the way this card duo turned out. 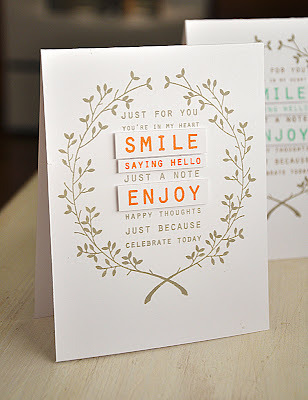 I stamped the wreath and sentiment directly onto a white card base with gray ink. Then popped up a few colorful greetings strips using dimensional adhesive. Beautiful cards and well worth waiting for. Thanks, Maile. Both cards are awesome, Maile ~ definitely worth the wait! Maile, well worth waiting for. Love your take on the new stamp sets. Always great color choices and layouts. Thank you for putting your unique twist on your creations. 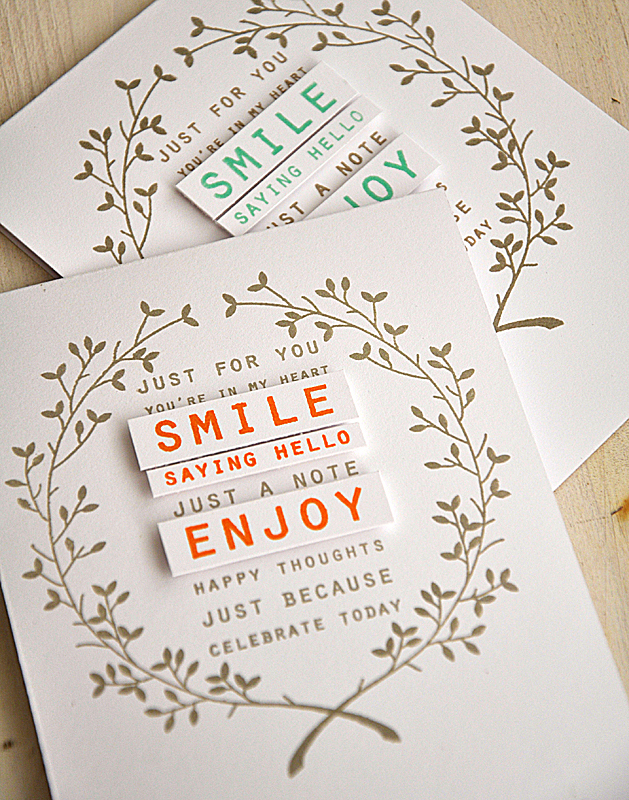 That second card reminds me of a sweet card set found at Papyrus in the "cards from Greece" section. 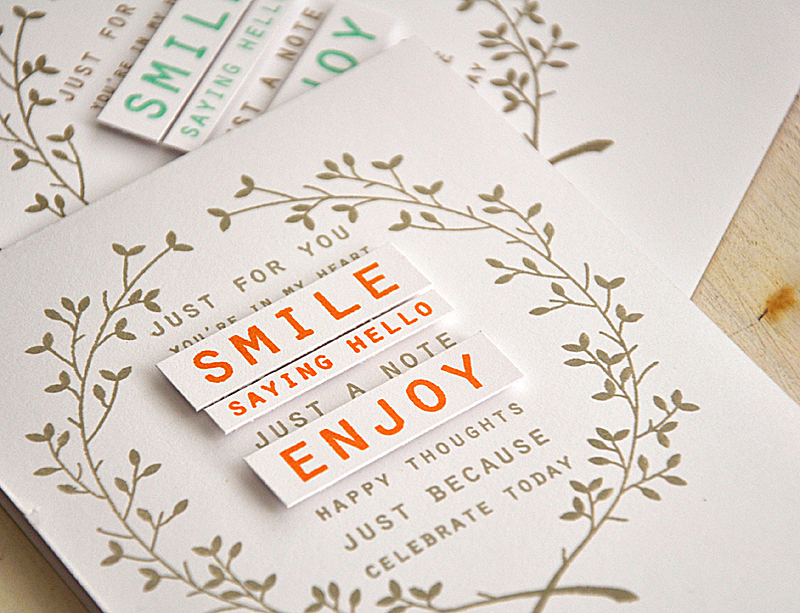 Lovely, but still modern with the burst of orange sentiments popped up for an edgy effect. To me you are Modern edgy CAS! 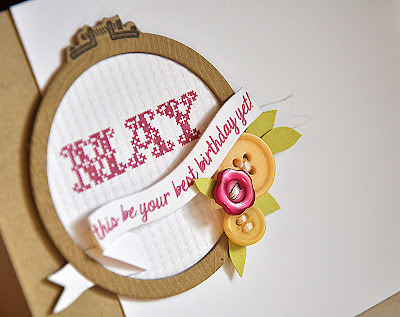 beautiful card Maile! The first one is so sweet and lovely! And the 2nd ones is soo pretty and elegant! I love them! Video Tutorial Is Now Up!